Libby is constantly in touch with grants' program managers and reviews numerous publications to make sure that GrantWatch.com provides subscribers with the most up-to-date grant opportunities. The following discloses our information gathering and dissemination practices for GrantWatch and its affiliates and subsidiaries. Please note that information collected via access to all the websites will be governed by this policy, but due to the consumer-facing nature of websites, those privacy policies should not be deemed to represent the compressive privacy and protection requirements set forth below. We encourage you to read and become familiar with all applicable GrantWatch privacy policies. GrantWatch defines Personal Data as any information relating to an identified or identifiable natural person, and an identifiable natural person is one who can be identified, directly or indirectly, by reference to an identifier such as a name, an identification number, location data, an online identifier or to one or more factors specific to the physical, physiological, genetic, mental, economic, cultural or social identity of that natural person. GrantWatch collects data and Personal Data through its Websites: GrantWatch.com, YouHelp.com, GrantNews.com, MWBEzone.com, GrantWriterTeam.com and GWI.education and or through telephone, email, chat and text communications with subscribers and through incoming phone calls. Information collected as you surf our Website is the date and time of sign in and from what IP address, all grants viewed, updates made to a campaign, requests for a grant writer, grant writer profile, an article being written, etc., and any changes you might make to your My Account profile. Payment information - If you have selected a GrantWatch/MWBEzone subscription or are contributing on YouHelp or a payment on GrantWriterTeam or the soon to be completed GWI.education, we will collect your credit-card number, CSV and expiration date, which will be transmitted via SSL encryption to our merchant provider. We at GrantWatch never see or save any of the credit card info. We maintain the payment transaction id and profile id and date of the transaction, payment by check we retain the check number, date and name and address on the check, and when you pay with PayPal we keep the PayPal email address on file. We do collect and save the first and last name, address, and any other information that we receive like title, website, and name of organization etc. This information is never shared with any third-party agency other than the payment processor. This information is needed to identify you and your payments, for refunds and future payments. In your GrantWatch My Account page most of the information that we retain can be viewed. In My Account you can subscribe to additional grant email region lists besides your original sign up location and tell us which grant categories you have an interest in viewing (this is to guide our presentation of grants to you in emails). In My Grants Viewed you can view a list of all the grants you viewed. In My Grants Calendar you can view all the grants you have added to your calendar. The information entered on YouHelp about yourself and your organization is defined as to what info will be shared with the public and the other info is for our KYC and AML efforts. As you navigate and interact with some of our Websites, we use automatic data collection technologies to collect the data (for example: grants you viewed and place them in your My Grant Views page for your later use). We also collect your IP address to determine which regional grant newsletter best meets your needs. Our Websites are not keylogging programs. We do not know what you are typing; rather, we merely record updates to your profile, whether your keyboard is active or inactive if you are using our services through an IP Library license to know when to allow an additional user to use the service in your place. You also may provide information about grants, testimonials, your grant request, your grant profile and successes, your crowdfunding campaign, your original article, your name when you make a contribution, etc. to be posted on public areas of the Website after editing or transmitted to other users of the Website or third parties (collectively, "User Contributions"). Your User Contributions are posted on and transmitted to others at your own risk. We cannot and do not guarantee that your User Contributions will not be viewed by unauthorized persons. At other times, GrantWatch may collect information that cannot be used to identify you. For example, we may aggregate non-personal information about you and other customers who visit our Website. Aggregated information will not contain any information that can be linked directly back to you. GrantWatch may use any number of tools to collect information about you, your computer access points, and the web browser that you use to connect to our Website. For example, cookies are tiny text files that we place on your computer’s hard drive when you visit our Website. As you browse, GrantWatch’s website, advertising cookies will be placed on your computer so that we can understand what you are interested in. Under the laws of various EU countries, including, without limitation, the United Kingdom, cookies may be served, as long as individuals have provided their consent, having been given clear and comprehensive information, about the purposes for which their Personal Data will be processed. In at least the above-referenced countries, effective consent may be provided by using browser settings, as long as you take positive action. Before using GrantWatch websites, you are advised to check your current browser settings to ensure that the settings reflect your consent for GrantWatch to place cookies on your devices. GrantWatch may also collect additional information from your web browser each time you visit one of our Websites. We may collect information about the pages that you visit, and the time spent on each web page or area of the Website, the promotions or advertisements that you click on, and other actions that you take while using our Website. This information may include your Internet Protocol ("IP") address, the type of browser, the time that your browser was used to access our Website, and the referring web site’s address. Our Internet Service Providers (defined below) may also use other standard web-based technologies to analyze your movements while accessing our Website. The technologies include web "beacons," "pixel tags," and "clear gifs." These technologies help us ascertain the effectiveness of our product and service campaigns and marketing programs, allow us to customize the services offered on or through our Website, and help determine the best use for website content, and product and service offerings. Some of this information, including the IP address, may be stored on our Internet service provider’s server logs, and may be available for extended periods of time. GrantWatch is in agreement with rights of Data Subject as set forth in Regulation (EU) 2016/679 of The European Parliament and of The Council of 27 April 2016. To that end, GrantWatch has instituted policies that address the rights of the Data Subject, including, transparency, information and access to Personal Data, retention, rectification and erasure, and restriction on processing and portability. GrantWatch will offer you the opportunity to choose (opt out) whether their Personal Data is: (1) to be disclosed to a third party; or (2) to be used for a purpose other than the purpose for which it was originally collected or subsequently authorized by the individual. For sensitive personal information, the GrantWatch will give individuals the opportunity or explicitly (opt in) consent to the disclosure of the information for a purpose other than the purpose for which it was originally collected or subsequently authorized by the individual. GrantWatch shall treat sensitive personal information received from an individual the same as the individual would treat and identify it as sensitive personal information. If you use GrantWatch in your capacity as an employee, your employer has direct access to your data. If you are an independent contractor, the person or entity who opens the account has direct access to your data. In addition, GrantWatch employees may have access to your data for testing or the general improvement of our software, to notify you about changes to our Website or any products or services we offer or provide through it, or to fulfill the purpose for which you provided it. See our Terms of Service (https://GrantWatch.com/terms) for additional information in this regard. At times GrantWatch may use the services of independent companies to provide certain services to you, including, without limitation, website hosting services, and credit card processing, ("Internet Service Providers"). GrantWatch may share your personal information with the Internet Service Providers as appropriate. We do not share personally identifiable information with outside third parties without your consent, except to the extent necessary to complete your request for products and services offered through the GrantWatch Website. GrantWatch may use your personal information to contact you via mail, email, or telephone in order to give you updates about GrantWatch’s special events, new services, current information regarding our products, or other promotions that may be of interest to you. If you are a business or organization that has scheduled a conference, event, or meeting, we may also share your information for publication of your event. We also use return email addresses to answer the email we receive from you. Your email address will not be used for any other purpose or shared with outside third parties for their direct marketing purposes. We may also use your IP address to help protect GrantWatch and our Internet Service Providers from fraud. We may also use non-personal aggregate information to improve our Website. For example, our Internet Service Providers may report to us that there were a particular number of visitors to a certain area of our Website, or that a certain number of businesses or a certain number of individuals completed our registration forms in particular areas of our Website. Such information may also be used to analyze the effectiveness of our business and advertising models. 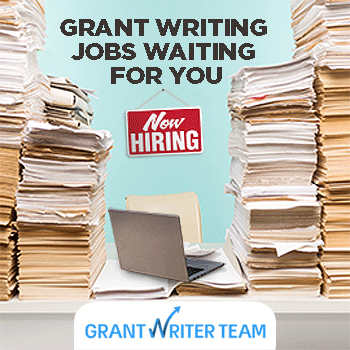 If you submit a grant for publication, we will use that information solely in connection with your grant application for current or future publication, and we may also share your grant application information with our subscribers, business partners or affiliates. GrantWatch may also disclose your personal information as is necessary to: (a) comply with a subpoena or court order; (b) cooperate with law enforcement or other government agencies; (c) establish or exercise our legal rights; (d) protect the property or safety of our company and employees, contractors, vendors, suppliers, and customers; (e) defend against legal claims; (f) help with internal and external investigations; or (g) as otherwise required by law or permitted by law. We may disclose your information in connection with the sale or merger of GrantWatch or any transaction that involves the sale or assignment of some or all our assets. GrantWatch makes reasonable efforts to ensure that our other Internet Service Providers have implemented physical, electronic, and procedural security measures to assist with safeguarding your personal information, and to help protect against unauthorized access and disclosure. Only our authorized personnel and our Internet Service Providers who perform legitimate business functions for GrantWatch are authorized to access your personal information. Notwithstanding our efforts, the Internet has inherent security risks. GrantWatch cannot promise, and you should not expect, that your personal information, personal searches, and other communications will always remain secure. You should take care with regard to how you handle and disclose your personal information or any username or password that you are required to use to access services on our Website. GrantWatch’s website are general audience website. GrantWatch’s Web site content is not directed toward children who are under the age of 13. We do not knowingly collect personal information from children or minors. If GrantWatch or its Internet Service Providers become aware that a child or minor has provided us with personal information without parental consent, that information will be deleted from our databases. If you have questions about personal information that may have been submitted by a child, please email us at support@GrantWatch.com. The first time that you provide us with registration information through our Website, you may be offered the opportunity to subscribe to and receive additional information about our services. After your first use, you can change your initial choices by contacting customer service email at support@GrantWatch.com. Each commercial email that we send to you will offer you the opportunity to opt-out of continuing to receive such messages. We may take up to 10 business days to process your opt-out requests. In some instances, we may have already shared your information with one of our authorized third parties before you changed your information preferences, and you may briefly continue to receive email even after you have opted out. FTC email compliance guidance allows us to send you transactional and relationship email without offering you the opportunity to opt-out of receiving those types of email. GrantWatch will only process Personal Data in a way that is compatible with and relevant for the purpose for which it was collected or authorized by you. To the extent necessary for those purposes, GrantWatch will take reasonable steps to ensure that Personal Data is accurate, complete, current and reliable for its intended use. If a complaint or dispute cannot be resolved through our internal process, we agree to dispute resolution using (an independent resourced mechanism) as a third-party resolution provider.